When the power goes out at home, I can manage without a furnace by using my wood stove and can usually find something to eat in the cupboard. It’s the darkness that gives the most trouble, making it inconvenient, slow, and even dangerous to move. My biggest frustration is that even with a flashlight, I can’t read books, at least not good old-fashioned ones, the ones I really like to hold in my hands. By making artificial lighting a standard, and cheap, feature of our homes and public spaces, the incandescent bulb completely transformed our society. It changed our behaviors, and extended our activities into times often disconnected from natural daily and seasonal cycles. 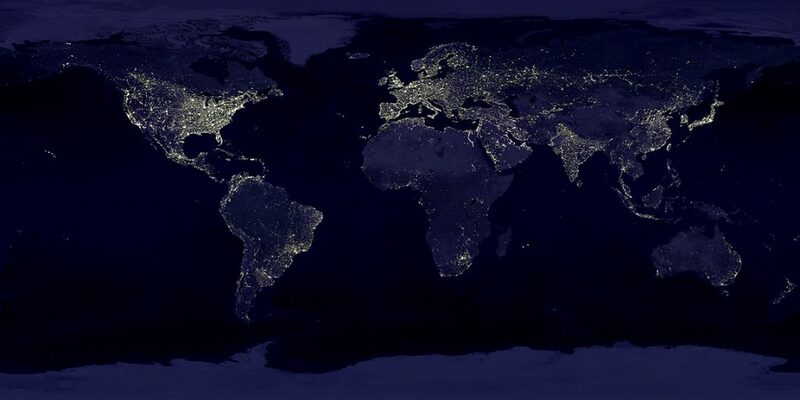 One of my favorite satellite images (below, from NASA) shows how nighttime around the world is impacted by the presence of lighting. And one machine, the ribbon machine, is at the heart of this image and of the light bulbs that shaped the world. Satellite image of lights around the world. After Thomas Edison developed a practical and durable light bulb filament in 1879, it took time for this technology to take hold, in part because it required a new product: glass envelopes to surround the filament. When Edison first commissioned Corning Glass to manufacture those envelopes in the early 1880s, skilled glassblowers could produce just two bulbs per minute. To meet the growing demand, the ribbon machine was conceived by William J. Woods in 1921, and designed in collaboration with his Corning Glass colleague, David E. Gray. By moving a ribbon of glass across a sequence of orifice plates and molds, into which air is blown to form the light bulb envelope, the machine produces a constant stream of bulbs. By 1926, the Corning Ribbon Machine could produce up to 300 light bulbs per minute, hour after hour, day after day. Continued innovation led, in 1998, to a ribbon machine able to produce over 1,600 bulbs per minute. Molten glass sags through an opening to form a ribbon of glass. 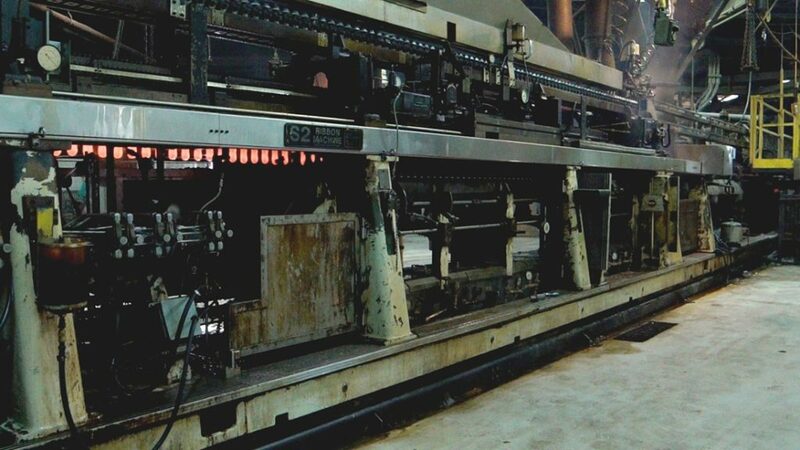 The remainder of the glass ribbon goes through the machine, and is then recycled as cullet that is used to produce more glass fed into the ribbon machine. Each glass envelope is then attached to a filament and socket to produce an incandescent light bulb. As late as the 1970s, almost every light bulb in the world was produced by just 15 ribbon machines scattered around the globe. 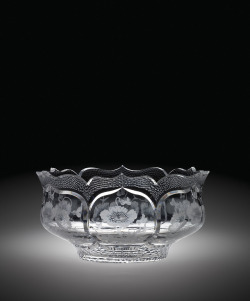 The ribbon machine could also be fitted with a variety of molds for producing other hollow glass objects, such as holiday ornaments, table lamps, and automobile lamps. Changes in lighting, with the transition to fluorescent and, more recently, LED bulbs have dramatically reduced the demand for incandescent bulbs. After Osram Sylvania announced they were closing their plant in Wellsboro, PA, one of the last locations in the United States where ribbon machines operated, The Corning Museum of Glass worked with employees of the plant to preserve this ribbon machine along with dozens of molds and assorted glass blanks. We also recorded high-speed video of the ribbon machine in action (see below) and interviewed workers at the factory. The 2016 closing of the Osram Sylvania plant marks the end of an era, turning this ribbon machine into an artifact that exemplifies the most transformative glass technology in history. For more information see The Corning Ribbon Machine for Incandescent Light Bulb Blanks; American Society of Mechanical Engineers; 1983. Next month, find out how collections and exhibitions manager Warren Bunn and team moved the ribbon machine from the plant in Pennsylvania to The Corning Museum of Glass.